Who doesn't love playing with bubbles? 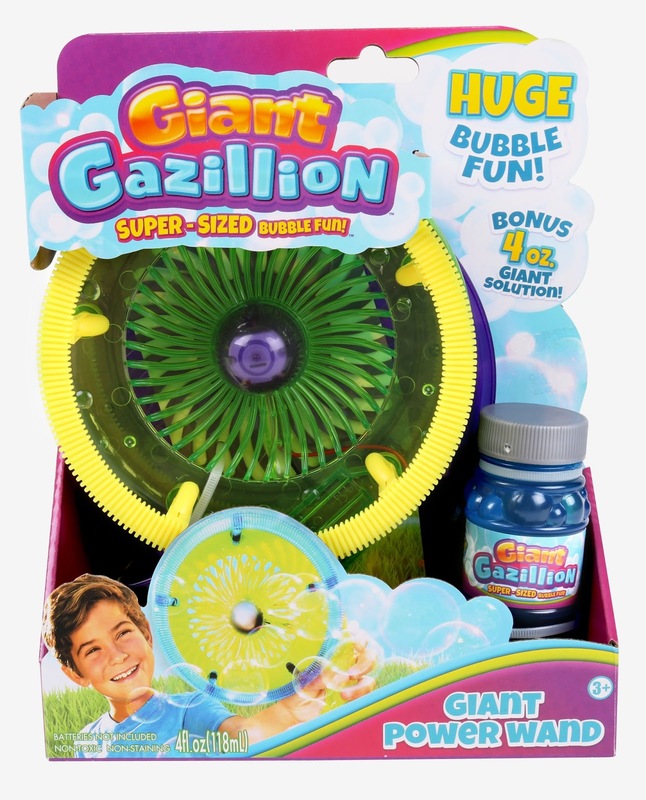 We absolutely love them and LOVE bubble machines or toys which can make bubbles themselves! 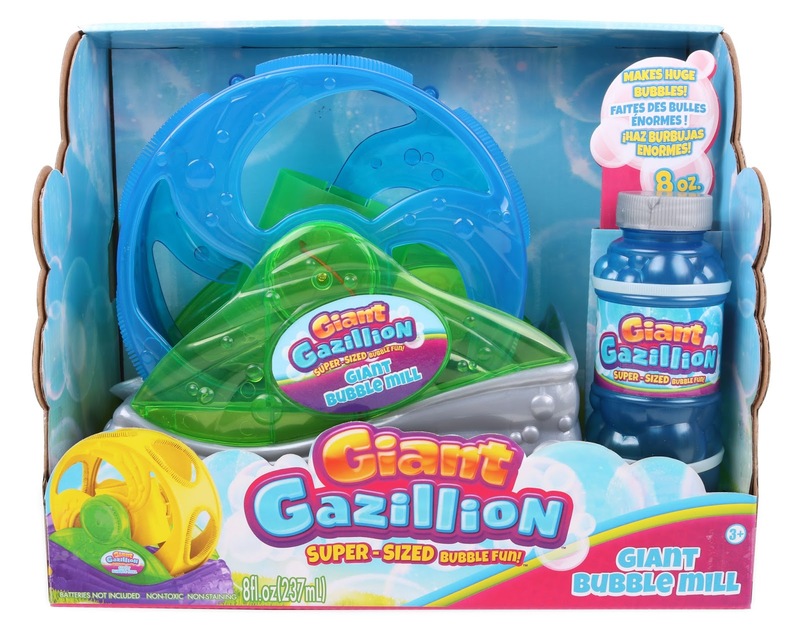 We've been testing the Giant Gazillion giant power wand preparing for the spring days that are on the horizon! The wand comes with a 4oz bottle of 'giant' bubble solution and a special tray to pour the solution in, once you've added batteries you have everything to need to start making huge bubble straight away. We got out in the garden to give the giant power wand a try and made some lovely big bubbles! T enjoyed bursting the large bubbles and seeing how far they traveled, although he did need a little help as the bubble mix kept bursting when he took it out of the special bubble tray, although it has been quite windy every time we've used it. 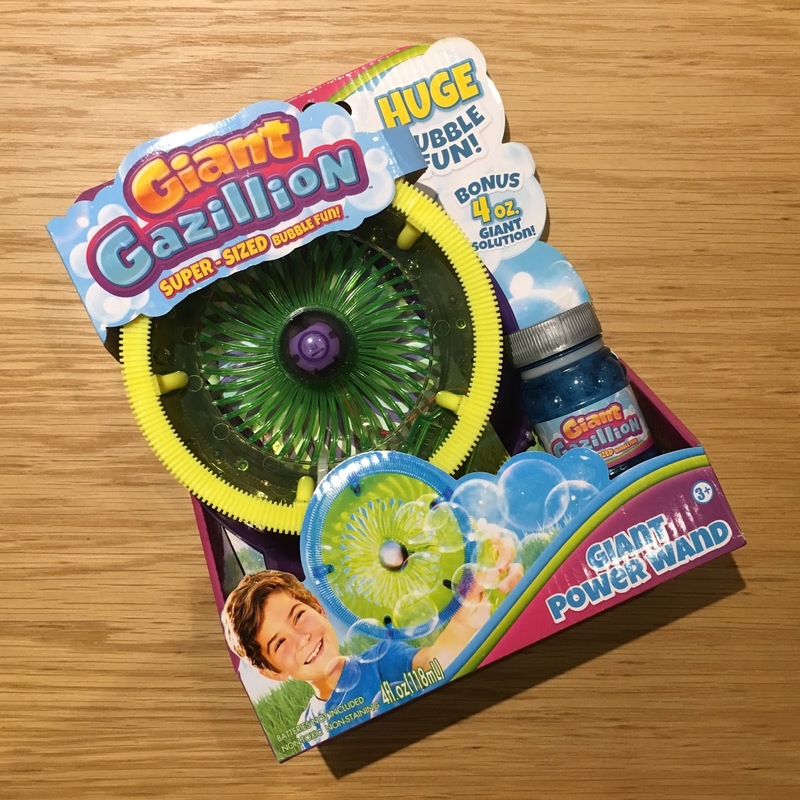 The bubble wand is aimed at children aged 3-7 and is a lightweight motorized wand which can be operated easily with a simple button, T managed to do this no problem at all with one hand, leaving his other free to pop the massive bubbles! We really enjoyed playing with our bubble wand and can see lots of fun to be had in the summer, T even wants to take it camping with us! 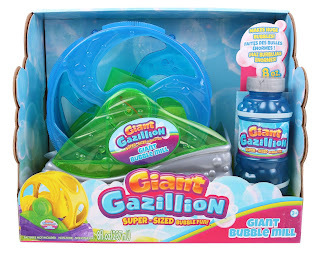 Also available from this range is The Gazillion Giant Bubble Mill.